A remake of the classic stage show and film. 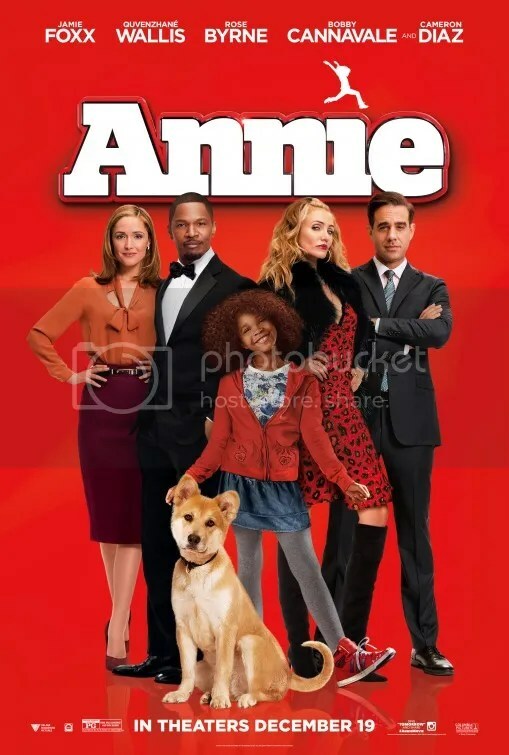 Annie is no longer an orphan, but a foster kid and her life changes when she is saved by tycoon Will Sacks. Why Dirty Dancing should not be remade . . .
A lot of speculation and rumours online yesterday about a possible remake for ‘Dirty Dancing’. I am in the please don’t remake it side. I just cannot understand why a film which is still so loved and watched over and over should be remade. Even if you try to update it, it won’t have the same effect at all. You could not get away with the same lines which while some are so cheesy yet some are so brilliant. It would not be the same hearing someone different say them after nearly 25 years of this film. Patrick Swayze’s best known film and why all women (including myself) love him. No way the ending could be recreated like that, and with that song . . . which everyone just loves to dance and sing along to. A very big hit at party’s and discos, with people trying to recreate the lift! (Yes I have been attempted to be lifted before). 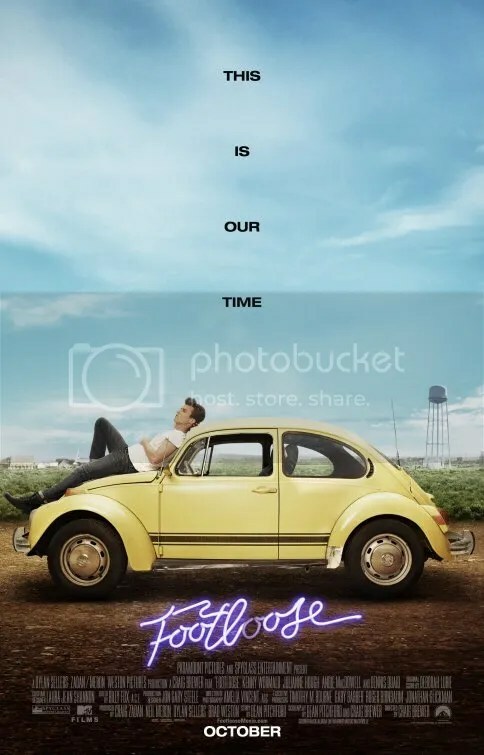 The trailer has been released for the remake of the popular 80s film, Footloose. Not really sure about this myself as the original is such a classic. But I guess there’s only one way to find out for sure! Remaking 80’s films seems to be very in at the moment. We had the remake of ‘Fame’ in 2009. I wonder what we will be seeing a remake of next? The latest news about the Hollywood remake of “The Girl with the Dragon Tattoo” are that Daniel Craig has been cast in the lead role as Mikael Blomkvist. This comes as very exciting news as with another Bond film looking very unlikely any new role for Daniel is good news for me. I have been such a big fan of his for a few years now. David Fincher has signed on to direct the trilogy of films. My task now is to read all of the books, which I have had for months now, actually I have owned The Girl with the Dragon Tattoo for a few years now since it’s release but have not read it all. After reading that book, I shall definitely watch the Swedish version before this film comes out. At least I have a year and a half before this film is due for release. 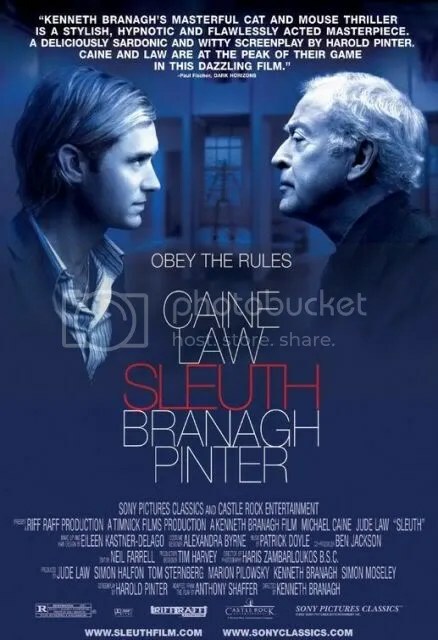 Anyone have any opinions on the book, first film and/or this remake? Especially the casting of Daniel Craig? I shall be posting more in relation to this film/book franchise as I get into reading them. Hmmm I think Justin would be very good in “Guys and Dolls” as we know he can sing. I am still rather shocked by Jason Statham as I really do not think that he will be able to sing. Guy Ritchie has reportedly lined up Justin Timberlake to star in a remake of Guys And Dolls. The director is said to have roped in movie hardman Jason Statham to show off his vocal talents in a reworking of the classic musical. And now he’s asked Timberlake, who starred in 2006 crime movie Alpha Dog, to also appear in the new project, according to Britain’s The Sun newspaper. A source tells the publication, “Work is really taking off for Guy at the moment and he is lining up talent for projects in the pipeline. Guy and Justin have known each other for a while through Guy’s ex-wife Madonna. “Guy rates Justin as an actor. He thought he was impressive in Alpha Dog. He likes his personality. Justin would be ideal for Guys And Dolls because he can act, dance and sing. Before I even start this review I must make it clear that I have not seen the original movie with Michael Caine and Laurence Olivier. I think this is really interesting !!! Guy Ritchie is set to branch out from the world of gangster cinema – the filmmaker is reportedly in Hollywood to begin writing a script for a remake of Guys And Dolls. The director, best known for his London-based crime films, is said to have roped in movie hardman Jason Statham to show off his vocal talents in a reworking of the classic musical, which originally starred Marlon Brando and Frank Sinatra. A source tells British newspaper The Sun, “Guy has been on the case with the idea of making a musical recently. He had been throwing ideas around with Jason Statham about writing their own musical. But Ritchie could be sticking to a familiar formula when shooting begins – he is apparently considering basing the song-and-dance classic in his native Britain.